Check out AJ Lee‘s WWE Alumni profile here! Check out AJ Lee in action before she was a star here! January 26 2008 – ACE Action Zone: Miss April (wrestling debut) and Azrieal defeated Alexa Thatcher and William Wyeth. February 9, 2008 – ACE Action Zone: Miss April defeated Alexa Thatcher in a Non-title match with guest referee Dawn Marie. February 23, 2008 – ACE Action Zone: Alexa Thatcher defeated Ms. April to retain the ACE Women’s Title. March 8, 2008 – American Championship Entertainment: Alexa Thatcher defeated Miss April to retain the Women’s Title. April 12, 2008 – American Championship Entertainment: Missy Sampson and Ms. April defeated Alexa Thatcher and Jenna. May 3, 2008 – ACE Action Zone: “Hollywood” Joe Hardway and Alexa Thatcher defeated Mo Sexton and Miss April. May 10, 2008 – ACE Action Zone: Miss April vs. Alexa Thatcher Disqualification. October 10, 2008 – Women Superstars Uncensored: Soul Sister Jana defeated Miss April w/Gorgeous George. ~~~The Beatdown Betties (Roxxie Cotton and Annie Social) defeated Malia Hosaka and Miss April in a Semi-Final Match. October 11, 2008 – Women Superstars Uncensored: Malia Hosaka defeated Miss April after April challenged Malia. November 29, 2008 – ACE Action Zone: Miss April defeated Annie Social and Roxie Cotton in a 3-WAY. November 29, 2008 – Women Superstars Uncensored: Miss April w/Gorgeous George defeated Lea Morrison. January 10, 2009 – Women Superstars Uncensored: Melissa Coates vs. Miss April ended in a 10:00 draw. February 7, 2009 – WSU/NWS: Brooke Carter and Miss April defeated Annie Social and Roxxie Cotton to Win the WSU Tag Titles! March 6, 2009 – National Wrestling Superstars: J.D. Smoothie and Roxxie Cotton defeated Anotonio Malave and Miss April. March 7, 2009 – WSU: Brooke Carter and Miss April defeated Roxxie Cotton and Rick Cataldo to retain the WSU Tag Team titles. April 10, 2009 – Women Superstars Uncensored: Miss April participated in the 2009 WSU Women’s J-Cup Tournament. ~~~Miss April defeated Roxxie Cotton in a 1st Round match | | Rain beat Tag champ Miss April in a 2nd Round Match. In May 2009 April Jeanette signed a developmental contract with World Wrestling Entertainment and reported to FCW in Tampa. July 30, 2009 – FCW: Tiffany and Angela Fong and April Jeanette (Debut) defeated Serena Deeb and Alicia Fox and Rosa Mendes. August 20, 2009 – FCW: April Lee and Angela Fong defeated Alicia Fox and Serena Mancini. October 22, 2009 – FCW: AJ Lee defeated Courtney Taylor. October 29, 2009 – FCW: Brett DiBiase and AJ Lee defeated Alex Riley and Naomi Knight (debut) after four Mr. FCW’s surrounded the ring and and distracted Alex Riley. November 5, 2009 – FCW: AJ Lee defeated Courtney Taylor. November 12, 2009 – FCW: Courtney Taylor and AJ Lee defeated Liviana and Naomi Night. November 19, 2009 – FCW: Natalya Neidhart defeated AJ Lee by Sharpshooter submission. December 12, 2009 – FCW: Courtney Taylor and AJ Lee defeated Naomi Night and Rosa Mendes. January 15, 2010 – FCW: Eve Torres and Aksana and Savannah and AJ Lee defeated Mia Mancini and Naomi Watts and Courtney Taylor and Liviana. January 21, 2010 – FCW: Serena Mancini and Naomi Night and Liviana defeated Aksana and AJ Lee and Savannah. February 18, 2010 – FCW: Tiffany and Savannah and AJ Lee defeated Rosa Mendes and Naomi Knight and Serena Mancini. February 19, 2010 – FCW: AJ Lee defeated Naomi Night. February 25, 2010 – FCW: AJ Lee defeated Naomi Knight in a Queen of FCW match. March 4, 2010 – FCW: AJ Lee and Courtney Taylor and Aksana defeated Naomi Night and Rosa Mendes and Liviana. March 11, 2010 – FCW: Serena and Rosa Mendes defeated AJ Lee and Aksana. March 25, 2010 – FCW: Courtney Taylor and AJ Lee defeated Tamina and Liviana. March 31, 2010 – FCW: Courtney Taylor and AJ Lee and Aksana defeated Tamina and Liviana and Naomi Night. April 1, 2010 – FCW: They did an angle with AJ Lee and Aksana setting up a tournament to crown the first ever FCW Divas champion. April 4, 2010 – FCW: Liviana and Courtney Taylor and Naomi Night defeated Savannah and Aksana and AJ Lee. April 25, 2010 – FCW: Naomi Night defeated AJ Lee and Savannah when she pinned Savannah in a Triple Threat Diva’s Match. May 5, 2010 – FCW Live Event: Tamina and Liviana defeated Naomi Night and AJ Lee. May 13, 2010 – FCW Live Event: AJ Lee and Savannah and Naomi Night defeated Liviana and Tamina and Serena. May 16, 2010 – FCW: AJ Lee defeated Tamina in the 1st round of the Diva’s title tournament. May 27, 2010 – FCW Live Event: AJ Lee and Naomi Night defeated Liviana and Tamina. June 6, 2010 – FCW: Serena defeated AJ Lee in a Semi-final of the Divas title tournament. June 16, 2010 – FCW: Jamie Keyes and AJ Lee handled the ring announcing duties. June 24, 2010 – FCW: AJ Lee defeated Serena and Naomi Night in a Divas Triple Threat. June 27, 2010 – FCW: Matt Martalo interviewed Naomi Night (thanked the fans for all the support and that she is ready for all challengers – AJ Lee comes out and challenged her for next week). July 4, 2010 – FCW: Naomi Night defeated AJ Lee to retain the FCW Women’s title. July 8, 2010 – FCW: Aksana won the FCW Divas Bikini contest (Participants; Naomi Night, AJ Lee, Aksana, Christina Fox, WWE Divas champion Alicia Fox. July 11, 2010 – FCW: Matt Martlaro interviewed FCW Diva’s champion Naomi Night (Serena and AJ Lee interrupted, and Serena attacked Night while Lee did nothing – turning her heel!). July 18, 2010 – FCW: Naomi Night defeated Serena and AJ Lee in a triple threat to retain the FCW Diva’s title. August 6, 2010 – FCW: AJ Lee and Liviana defeated Naomi Night and Aksana. August 15, 2010 – FCW: Conrad Tanner and Naomi Night defeated Derrick Bateman and AJ Lee in a Mixed Tag Team Match. August 18, 2010 – FCW: FCW Diva’s champion Naomi Night (interrupted by The Queen of Florida” AJ Lee and Liviana – the new FCW GM), Aksana and Naomi Knight defeated AJ Lee and Liviana. August 19, 2010 – FCW: Aksana and Bobby Dutch defeated Rudy Parker and AJ Lee when Dutch pinned Parker. August 22, 2010 – FCW: Ashley Valence interviewed “Queen Of FCW” AJ Lee (challenged Naomi Night to a crown vs. title match). August 26, 2010 – FCW: Aksanna defeated AJ Lee and Naomi Night in a Triple Threat Match. August 29, 2010 – FCW: FCW Diva’s champion Naomi Night vs. “Queen of FCW” AJ Lee ended in a Double Countout. September 23, 2010 – FCW: AJ defeated Aksana. December 2, 2010 – FCW: AJ defeated Sonia by submission. December 9, 2010 – FCW: AJ beat Naomi and Rosa Mendes in a 3-WAY. December 30, 2010 – FCW: AJ Lee defeated WWE Diva’s champion Natalya via tapout (rehashing the Monstreal screwjob) in a Non-title match. June 2010: April Jeanette worked some RAW live events doing the hostess interacting with WWE fans. AJ Lee was one of six participants on NXT Season 3, getting paired up with “Pro” Primo Colon. August 31, 2010 – WWE NXT Season 2 Finale: AJ was introduced with a video package to hype the debut of NXT Season 3. September 7, 2010 – WWE NXT: Season 3 kicked off with the six Rookie Divas participating in a really stupid Dance Challenge. ~~~LATER: Primo Colon and AJ defeated Goldust and Aksana in a mixed tag team match ending with a very awkward finish. September 16, 2010 – WWE Superstars: The Great Khali defeated Primo Colon w/AJ with the Punjabi Plunge. September 21, 2010 – WWE NXT: AJ w/Primo Colon defeated Maxine w/Alicia Fox in a Diva Rookies match. ~~~AJ also won the “Musical Chairs” challenge as well as the “Talk the Talk” challenge – beating all five of the other Rookie Divas. September 23, 2010 – WWE Superstars: Primo Coldon w/AJ defeated JTG with the Back-stabber. September 28, 2010 – WWE NXT: AJ won a terrible “Diss The Diva” Competition and participated in a lame Wheelbarrow Challenge. ~~~Kaitlin beat AJ and Naomi and Aksana and Jamie and Maxine in a Talent Show (AJ’s talent was doing some gymnastics). October 12, 2010 – WWE NXT: AJ Lee beat Aksana and Naomi and Kaitlin and Maxine in a Guess The Song Competition. ~~~AJ w/Primo Colon defeated Aksana w/Goldust in a Diva Rookies match with a small package. October 26, 2010 – WWE NXT: Kaitlyn defeated Aksana and AJ and Maxine and Naomi in a Halloween Costume Contest. ~~~Brie Bella w/Nikki Bella defeated AJ w/Primo Colon after pulling the old switcharoo behind the referee’s back. ~~~aitlyn defeated AJ and Maxine and Naomi in a Wedding Gift Scramble (in honor of Aksana and Goldust’s wedding). November 9, 2010 – WWE NXT: Kaitlyn won an Arm-wrestling contest | AJ Lee won a High School Photo Challenge. ~~~AJ Lee w/Primo Colon defeated Nikki Bella w/Brie Bella – (Primo stopped the Bellas from pulling their trademark switcharoo trick). November 16, 2010 – WWE NXT: AJ Lee won a Know Your Pro challenge | Naomi won a really stupid Diss The Diva competition. ~~~Aksana apologized to Goldust and begged for help tonight | AJ Lee w/Primo Colon defeated Aksana after Goldust ditched her. November 23, 2010 – WWE NXT: AJ Lee beat Kaitlyn and Naomi (trivia challenge) | Kaitlyn beat AJ and Naomi (sumo challenge). ~~~AJ Lee w/Primo Colon defeated Naomi w/Kelly Kelly in a Diva Rookies match by submission using the Octopus Stretch. ~~~LATER THAT NIGHT: AJ Lee was eliminated, leaving Kaitlyn (w/Vickie Guerrero) and Naomi (w/Kelly Kelly) as the Final 2! November 30, 2010 – WWE NXT (Season 3 Finale): The Bella Twins and AJ Lee defeated Maxine and Alicia Fox and Aksana. January 6, 2011 – FCW: “Queen of FCW” Rosa Mendes and AJ Lee defeated Kaitlyn and Naomi Knight. January 9, 2011 – FCW: AJ Lee defeats Naomi Knight and Rosa Mendes. January 23, 2011 – FCW: AJ Lee defeats Naomi Night to win the FCW Divas title. February 6, 2011 – FCW: Kaitlyn and Naomi Knight defeat AJ Lee and Rosa Mendes. March 13, 2011 – FCW: FCW Divas Champion AJ Lee defeated Naomi to retain. April 3, 2011 – FCW: AJ Lee and Aksana defeat Kaitlyn and Naomi. April 10, 2011 – FCW: AJ Lee (w/ Aksana) defeats Kaitlyn in a non-title match. April 24, 2011 – FCW: Kaitlyn and Naomi defeat AJ Lee and Aksana. May 15, 2011 – FCW: Aksana defeated AJ Lee to win the FCW Divas Title. May 27, 2011 – SmackDown: Alicia Fox and Tamina defeated Kaitlyn and AJ Lee. June 3, 2011 – SmackDown: Alicia Fox and Tamina defeated AJ Lee and Kailtyn. June 10, 2011 – SmackDown: AJ Lee w Natalya defeated Tamina. June 17, 2011 – SmackDown: Alicia Fox, Rosa Mendes and Tamina defeated Natalya, AJ Lee and Kaitlyn. June 23, 2011 – Superstars: AJ Lee, Kaitlyn and Natalya defeated Alicia Fox, Rosa Mendes and Tamina Snuka. July 8, 2011 – SmackDown: AJ Lee defeated Tamina. July 17, 2011 – FCW: AJ and Aksana defeat Audrey Marie and Sonia. August 19, 2011 – SmackDown: Divas Champion Kelly Kelly and AJ Lee defeated Natalya and Alicia Fox. September 16, 2011 – SmackDown: Beth Phoenix defeated AJ Lee. October 6, 2011 – Superstars: AJ Lee defeated Tamina. January 1, 2012 – FCW: AJ defeated Aksana and FCW Divas Champion Audrey Marie in a non-title match. March 16, 2012 – SmackDown: AJ Lee defeated Nikki Bella. June 11, 2012 – RAW: WWE Champion CM Punk and AJ Lee defeated Daniel Bryan and Kane. June 25, 2012 – RAW: AJ won the divas summertime battle royal. June 29, 2012 – SmackDown: WWE Divas champion Layla defeated AJ Lee in a non-title match. July 9, 2012 – RAW: C.M. Punk and AJ Lee defeated Daniel Bryan and Eve Torres. July 16, 2012 – RAW: Daniel Bryan and AJ Lee defeated The Miz and Eve Torres. October 29, 2012 – RAW: AJ Lee defeated Beth Phoenix. Beth Phoenix defeated AJ Lee. Beth Phoenix gets fired. November 18, 2012 – Survivor Series: Tamina Snuka returns by attacking AJ Lee. December 3, 2012 – RAW: AJ Lee defeated Tamina Snuka. December 10, 2012 – RAW: Vickie Guerrero defeated AJ Lee. December 16, 2012 – TLC: Dolph Ziggler defeated John Cena in a ladder match for Ziggler’s ‘Money in the Bank’ briefcase. AJ Lee helped Ziggler win by knocking Cena off the ladder. December 17, 2012 – RAW: John Cena and Vickie Guerrero vs AJ Lee and Dolph Ziggler ended in a no contest when Big E. Langston debuted by attacking John Cena. March 2, 2013 – WWE Live Event: Paige defeated AJ Lee. April 22, 2013 – RAW: AJ Lee won a Divas battle royale to become the #1 contender for the WWE Divas championship. Participants included: Layla, Tamina, Naomi, and Aksana. May 20, 2013 – RAW: AJ Lee defeated Layla. July 15, 2013 – RAW: WWE world heavyweight champion Alberto Del Rio defeated Dolph Ziggler in a non-title match. ~~~AJ Lee rang the bell at the wrong time and cost Dolph Ziggler the match. August 21, 2013 – Main Event: WWE Divas champion AJ Lee w/ Layla El defeated Naomi w/ Brodus Clay and Cameron in a non-title match. August 22, 2013 – NXT: WWE Divas champion AJ Lee defeated Bayley to retain the title. August 24, 2013 – WWE Live Event: Natalya and Kaitlyn defeated WWE Divas champion AJ Lee and Layla El. August 31, 2013 – WWE Live Event: Kaitlyn, Natalya, and Naomi defeated Brie Bella, AJ Lee, and Layla El. September 7-8, 2013 – WWE Live Event: Naomi defeated WWE Divas champion AJ Lee in a non-title match. September 20, 2013 – SmackDown: WWE Divas champion AJ Lee defeated Naomi in a non-title match. November 1, 2013 – SmackDown: The Bella Twins and Natalya defeated WWE Divas champion AJ Lee, Tamina, and Alicia Fox. November 18, 2013 – RAW: WWE Divas champion AJ Lee defeated Vickie Guerrero in a non-title match. November 22, 2013 – SmackDown: Cameron and Naomi defeated WWE Divas champion AJ Lee in a “2-on-1” handicap match. December 25, 2013 – Main Event: Natalya and The Bella Twins defeated AJ Lee, Tamina and Aksana. December 26-29, 2013 – Main Event: Natalya defeated AJ Lee. January 4, 2014 – Live Event: Emma and Natalya defeated AJ Lee and Tamina. January 8, 2014 – Main Event: Divas champion AJ Lee defeated Kaitlyn in a non-title match. This would be Kaitlyn’s final match in the WWE. March 8-9, 2014 – Live Event: Divas champion AJ Lee defeated Cameron to retain the title. March 11, 2014 – Main Event: Divas champion AJ Lee defeated Natalya to retain the title. March 15-16, 2014 – Live Event: Divas champion AJ Lee defeated Cameron to retain the title. March 22-23, 2014 – Live Event: Naomi defeated AJ Lee in a non-title match. March 24, 2014 – RAW: Naomi defeated WWE Divas champion AJ Lee by count-out in a non-title match. March 31, 2014 – RAW: Naomi defeated WWE Divas champion AJ Lee in a non-title “Lumberjill” match. April 7, 2014 – RAW: Paige defeated WWE Divas champion AJ Lee to win the title! 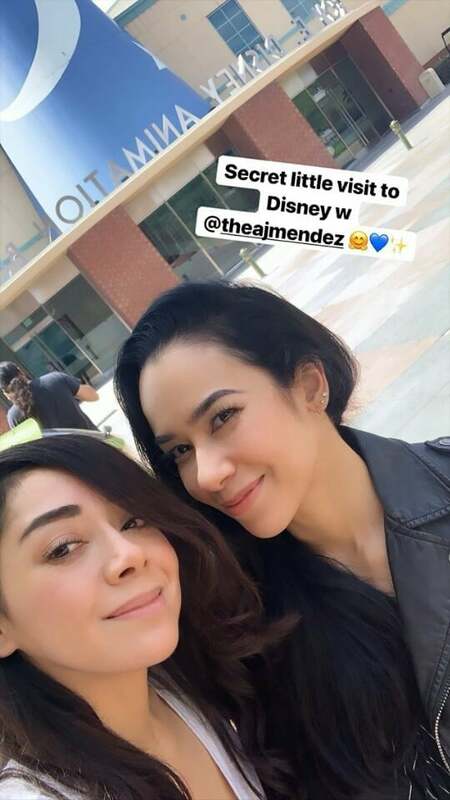 AJ Lee takes a break from WWE. June 30, 2014 – RAW: AJ Lee defeated WWE Divas champion Paige to win the title! July 18, 2014 – SmackDown: WWE Divas champion AJ Lee and Paige defeated Layla and Summer Rae. July 20, 2014 – Battleground: WWE Divas champion AJ Lee defeated Paige to retain the title. July 25-27, 2014 – Live Event: Divas champion AJ Lee defeated Paige to retain the title. August 1, 2014 – SmackDown: WWE Divas champion AJ Lee defeated Rosa Mendes in a non-title match. August 2-3, 2014 – Live Event: Divas champion AJ Lee defeated Natalya and Paige in a 3-way match to retain the title. August 5, 2014 – Main Event: Divas champion AJ Lee defeated Summer Rae in a non-title match. August 9-10, 2014 – Live Event: Divas champion AJ Lee defeated Natalya and Paige in a 3-way match to retain the title. August 17, 2014 – SummerSlam: Paige defeated WWE Divas champion AJ Lee to win the title. October 3, 2014 – SmackDown: WWE Divas champion AJ Lee defeated Naomi in a non-title match. October 10-11, 2014 – Live Event: Divas champion AJ Lee defeated Paige to retain the title. October 17, 2014 – SmackDown: WWE Divas champion AJ Lee defeated Layla in a non-title match. October 18-19, 2014 – Live Event: Divas champion AJ Lee defeated Paige to retain the title. October 26, 2014 – Hell in a Cell: WWE Divas champion AJ Lee defeated Paige to retain the title. December 8, 2014 – RAW: AJ Lee wins “Diva of the Year” on the WWE’s Slammy Awards edition of RAW. December 8, 2014 – RAW: AJ Lee defeated Summer Rae. March 6-8, 2015 – Live Event: A.J. Lee and Natalya defeated The Bella Twins. March 9, 2015 – RAW: A.J. Lee defeated Summer Rae. March 30, 2015 – RAW: Naomi, AJ Lee and Paige defeated Natalya and the Bella Twins. April 3, 2015 – AJ Lee announces retirement from in ring competition.